Posted on April 17, 2019 by admin Posted in Meetings, Membership, News	. 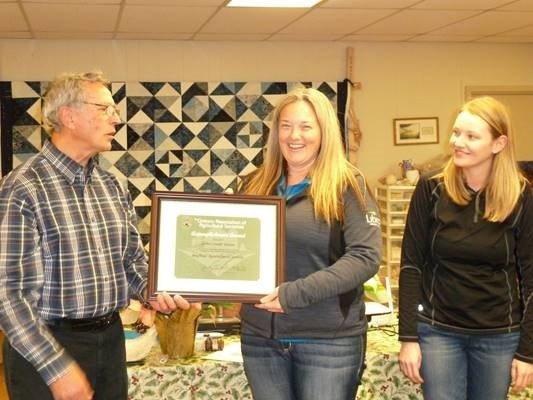 The Ontario Association of Agricultural Societies (OAAS) held the annual convention in February 2019, where the photo competition of entries from Agricultural Societies throughout Ontario were judged. 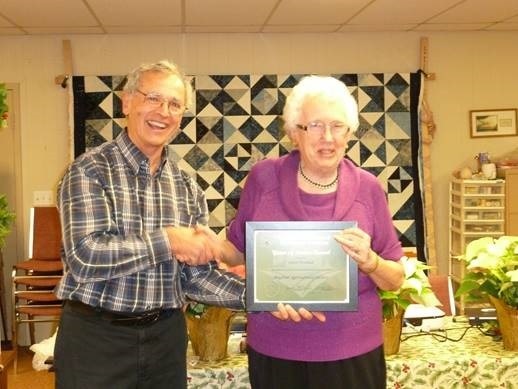 Shirley Boyes, a member of the Bayfield Agricultural Society, received a total of 5 ribbons . Shirley won the following ribbons in the listed catagories , 3rd – candid shot, 2nd – homecraft, 5th – livestock, 4th – live demo’s , and a 2nd – Fair ID. 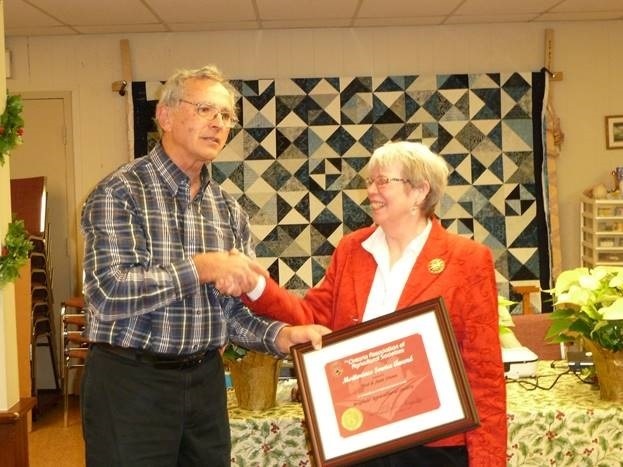 Pictured is Doug Yeo, President OAAS, presenting the ribbons to Shirley Boyes. Congratulations Shirley! 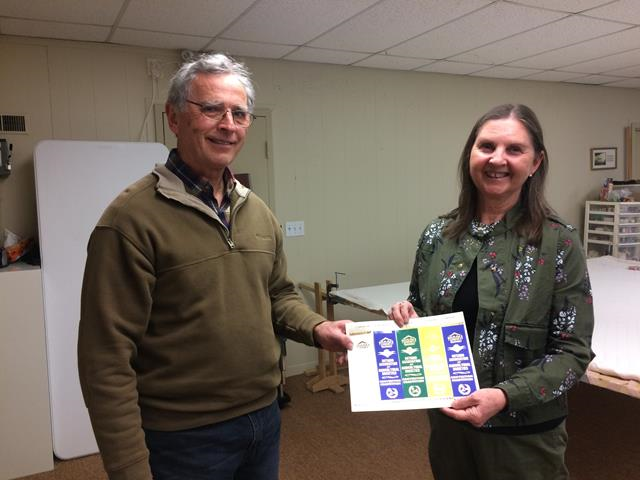 Congratulations also go out to Doug Yeo, a member of the Bayfield Agricultural Society, for being electedthe President of the OAAS for 2019-2020!